The initiative for building this kitchen for the Rockanje School was taken by the PTA (= Parents and Teachers Association) of the school. After three years of intensive saving together with the parents, they saw the opportunity to place this kitchen building. This stone kitchen building consists of a large kitchen area, a pantry, and an office for the teachers. In the kitchen area there are on either side two sink blocks with cabinets below and above. With money from the firm "Tuinderij Vers" we could also achieve an outdoor kitchen. It is attached to the school, covered with a zinc plated roof that is supported by concrete piles and foundation. The walls are also half built with concrete and the rest is finished with wire gauze. On either side of this building is a door. The "indoor kitchen" is mainly intended for classes to students of JSS, while the "outdoor kitchen" will be used entirely for the preparation of the warm lunch for all the pupils of the school. The four ladies who prepare the lunch in the African outdoor kitchen have no training whatsoever, yet they do have lots of experience and the students get important tips and advice during the preparation of the African meals. 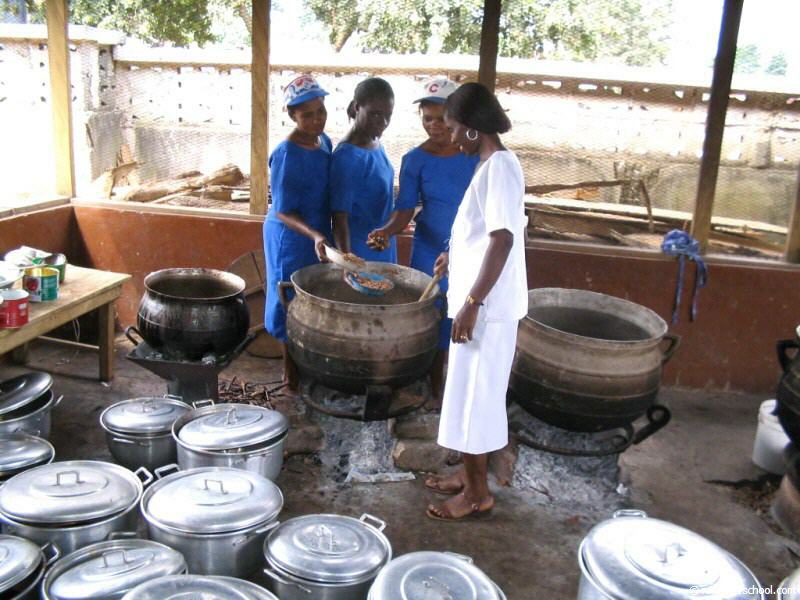 These ladies are supervised by a competent cook who is paid from the revenue of the school fees. The government does not pay for this. 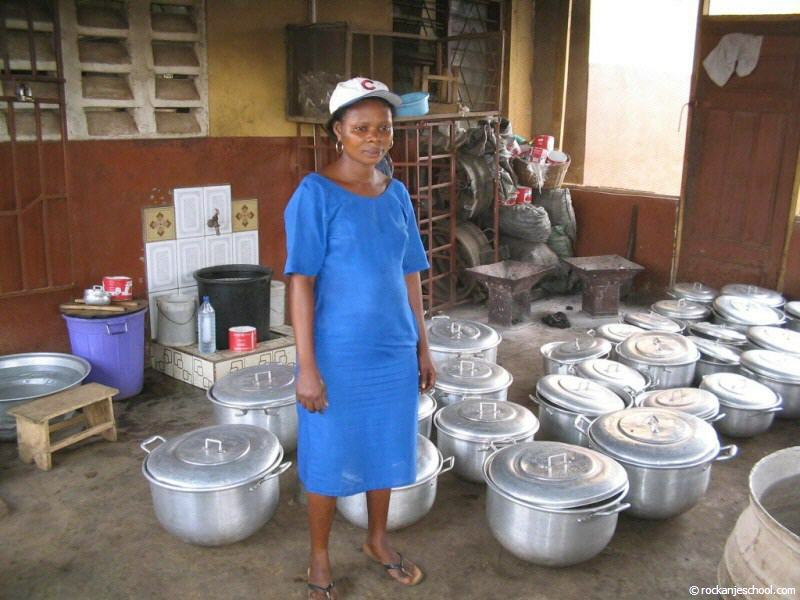 Op de foto's hierboven ziet u de voornaamste ingredienten voor de maaltijden zoals soyabonen cassave poeder, kenkey en fufu. Vaak wordt het met een sausje gegeten. Het keukengebouw "KichenFresh" dankt zijn naam aan de firma "Tuinderij Vers" in Brielle, die ook de inrichting van de keuken schonk.